Or as low as $179.16 per month over 12 months. Apply Now. 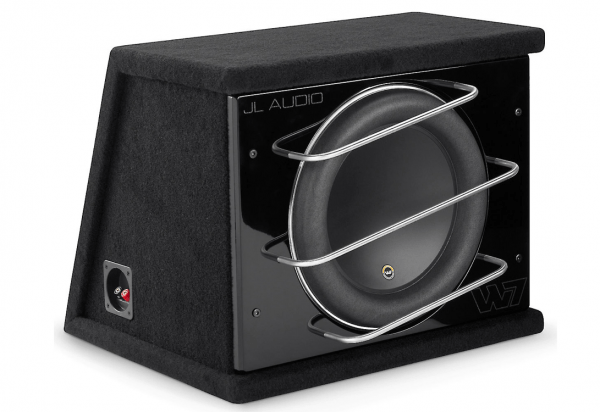 JL Audio CLS113RG-W7AE enclosure contains one 13.5″ W7AE subwoofer, which handles up to 1,500 watts RMS with the help of six patented features and a computer-optimized motor assembly design. 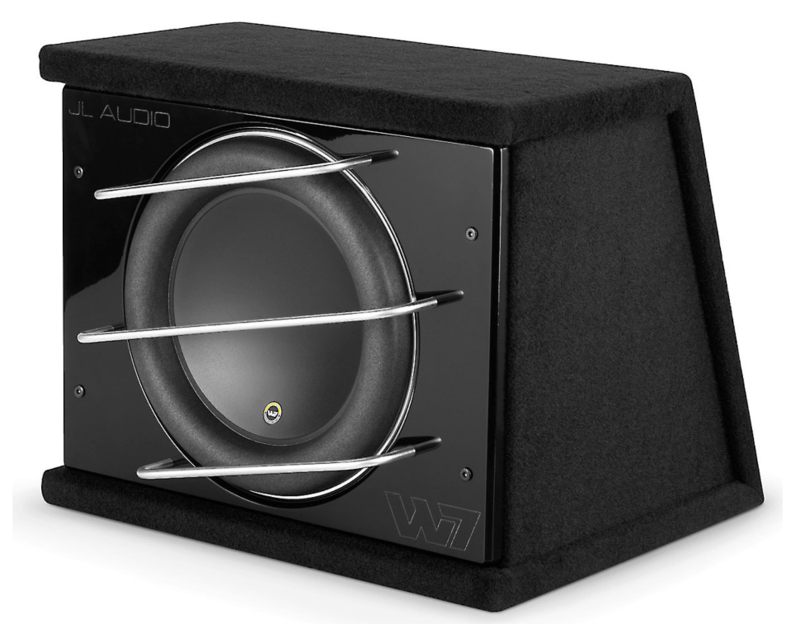 This W7AE ProWedge features a unbelievably rigid sealed enclosure, made from solid 1″ thick medium-density fiberboard and optimized for the W7AE subwoofer. JL Audio’s ProWedge enclosure provides the ideal home for their W7 Anniversary Edition subwoofer, a hand-assembled sealed housing that allows the sub to produce bass notes with impressive depth, detail and clarity. This versatile sub will enhance the impact of any type of music, from the subtle thrum of the stand-up bass in a jazz ensemble, to the satisfying gut punch of a rock’n’roll kick drum. The glossy black laminate baffle with its embossed logos adds a touch of class, while the durable black carpet covering keeps nicks and scratches at bay. Three stylish brushed aluminum rods protect the woofer so it can deliver long-lasting bass in your vehicle. Gold-plated, five-way binding posts allow for convenient and secure hookup. For those who seek the ultimate in compact-enclosure sub-bass fidelity, we offer this sealed ProWedge system, in which the superb performance capabilities of the JL Audio CLS113RG-W7AE subwoofer driver are harnessed within a compact, sealed enclosure. This system has it all: extension, impact, detail and smooth response… at any listening level.